The unbelievable but true story of Mrs. Edith Bouvier Beale and her daughter Edie, the aunt and first cousin of Jacqueline Kennedy Onassis. 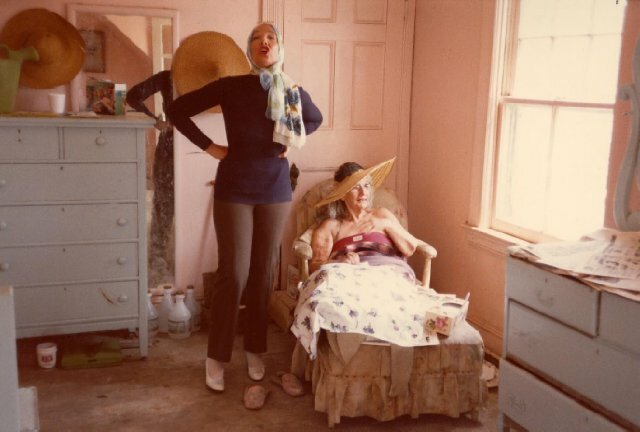 Mother and daughter live in a world of their own behind the towering privets that surround their decaying 28-room East Hampton mansion known as “Grey Gardens,” a place so far gone that the local authorities once threatened to evict them for violating building and sanitation codes. Mrs. Beale, a.k.a. “Big Edie,” was born an aristocrat, sister of “Black Jack” Bouvier, Jackie O’s father. “Little Edie” was an aspiring actress of striking beauty who put her New York life on hold to care for her mother–and never left her side again. Together they descended into a strange life of dependence and eccentricity that none had ever shared until the Maysles Brothers arrived with their camera and tape recorder in hand.